Holy s***, look at that Dex. While at first it seems high, I use it as manual Dexterity of it's many arms and Improved Stability. The Gyrometric Stabilizer gives it a +2 Dex. 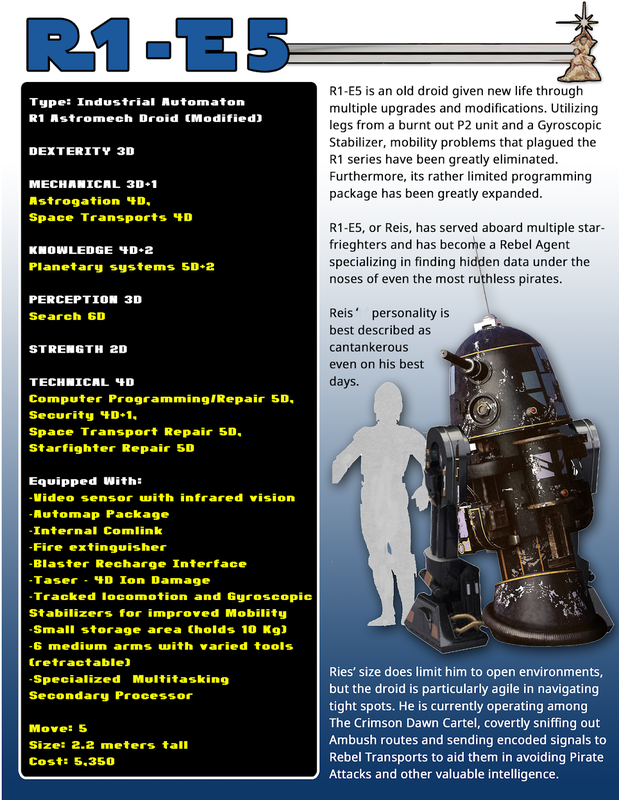 I seem to recall reading somewhere that without a heuristic processor, the droid can't use skills that it doesn't have skill dice in. Meaning that 4D dex is useless. I can't seem to find it. I'll glance about again when I get some time. 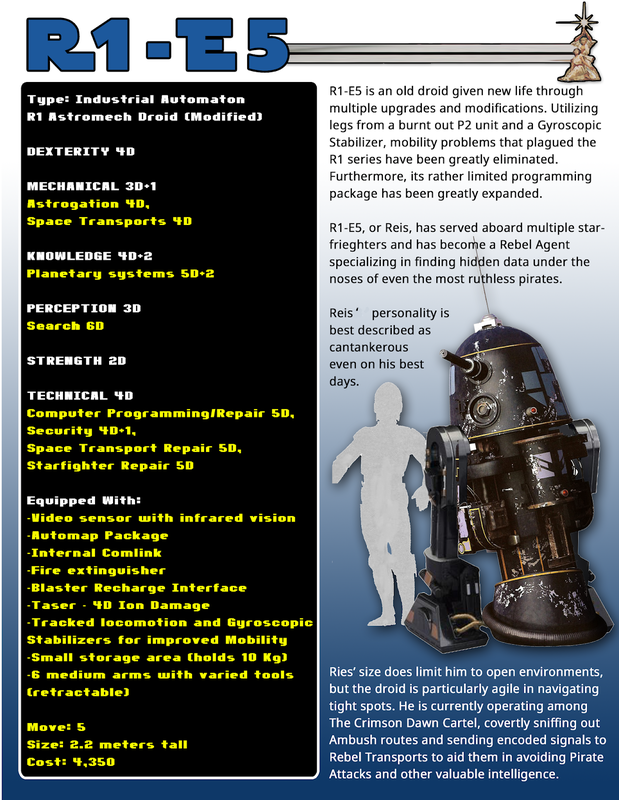 On the subject of handling multiple arms, though: In the Scavenger's Guide to droids conversion, they have a sub-processor that lets you make one free action using one particular skill, this could be used to accurately reflect the droids ability to "Multi-task" without giving it a better Dexterity than most combat models. Welcome to the forum, johnny! As per the forum guidelines, please do not post any images wider than 750 pixels. I edited it for you. FYI. Thanks. The Multitasking Processor is more in line what I was looking for -- Thanks for the tip. I have adjusted the Droid's Dexterity back to 3D, which also allows for the use of the Gyrostabillizer, which I feel this modification needs to calibrate it's P2 legs and due to its widely known mobility problems. If 3D seems too high for your game, then by all means change it.